Savannah is known for its beautiful parks, cobblestone streets, drooping live oaks, stunning historical architecture, and bustling river walk. However, my favorite thing about Savannah is the FOOD! Savannah is a culinary lover’s dream from an array of world cuisine to its signature eccentric Southern low country dining. 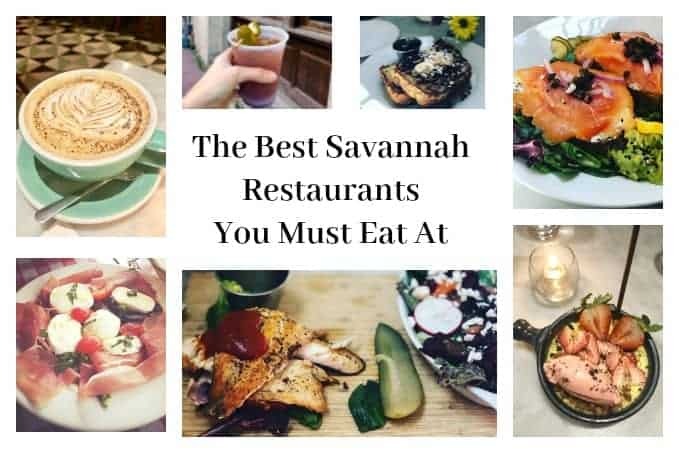 Here is a list of my personal favorite Savannah restaurants that you must add to your bucket list to eat at! Are you hungry? This list of Savannah Restaurants are all drool worthy. Work up an appetite with an outdoor stroll in the beautiful streets of Savannah, because you are going to want to hit everyone of these tasty spots! When you eat at The Collins Quarter, you eat with your eyes. 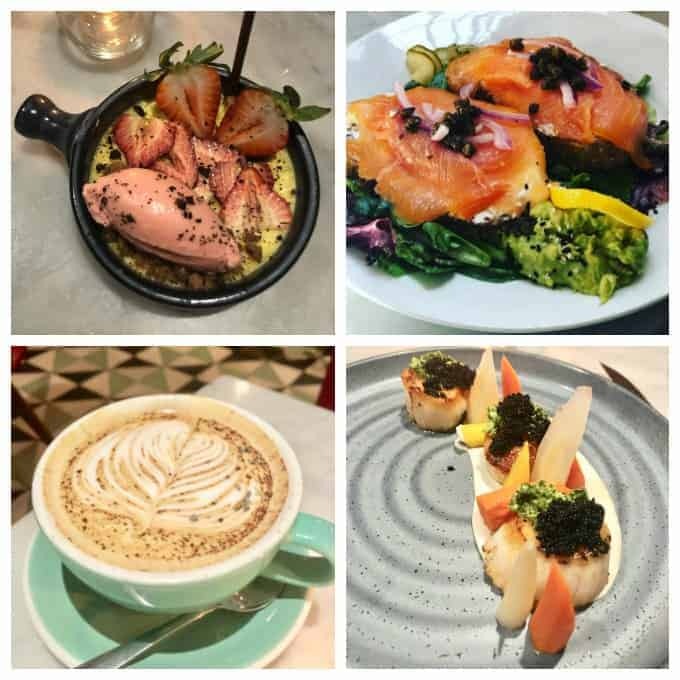 Everything is beautiful from the chic and stylish decor complimented with fresh flowers on the tables, to the artsy plated food presented on your plate. The biggest down fall of The Collins Quarter is deciding what to order. The menu choices are so enticing and delicious your head hurts trying to narrow down the selection! I suggest trying EVERYTHING! I also highly recommend a reservation. There is always a line out the door and a long wait. However, if you did not make reservations, let me assure you it is worth the wait! If you are coming for brunch, you can never go wrong with the French Toast, Upstream Supreme, or the Eggs Benedict. Make sure you try one of their fancy signature Espressos!!! This is definitely an opportunity to indulge. 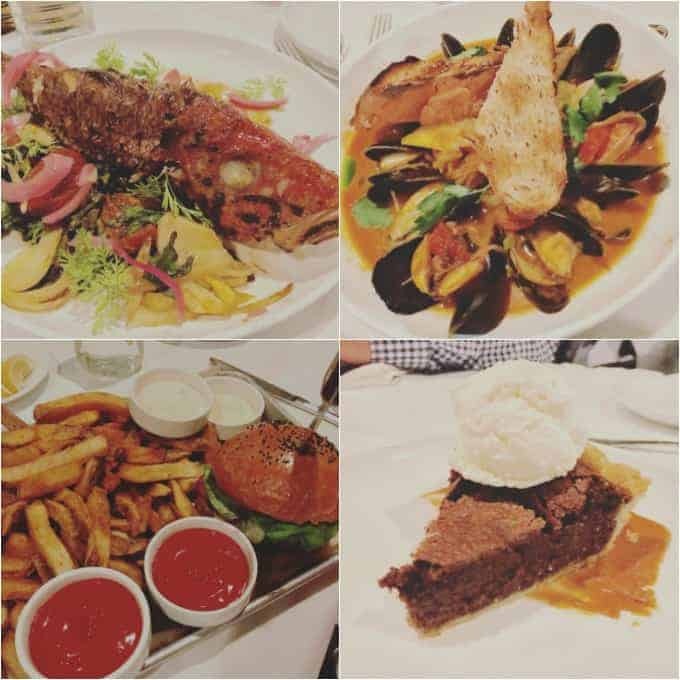 For dinner, you can never go wrong with the scallops, salad, or the fish specials. The Hot Chicken was pretty fantastic if it still is on the menu…. And don’t skip dessert!!! Dessert is definitely special, so if it is questionable if you will have room for dessert, just order it first… because why not? The 700 Drayton Restaurant offers a stunning luxurious atmosphere perfect for a special occasion or date night. It is located at the Mansion on Forsyth Park. They have a spectacular craft cocktail menu that you don’t want to miss out on. Dinner is exceptional here. Their unique, eclectic dishes are made in house and plated elegantly and colorfully. While the scallops are scrumptious, you can never go wrong with any of their steaks and chops. They do serve brunch, lunch, and dinner. I personally have only had the opportunity for dinner. I recommend starving all day so you can save room for a four course meal. You will want to try the shareables, salad, soup, entree, and dessert. Everything is so incredible that this a restaurant worth saving your appetite for! You can’t go to Savannah without stopping in at Leopold’s Ice Cream Parlour. There is ALWAYS a line out the door and down the street whether it is 100 degrees outside or 30 degrees…. people just can’t get enough of this place. Why? Because it is devilishly good. All ice cream is homemade with flavors such as Lemon Custard, Banana, Pistachio, Rum Bisque (a personal favorite), Honey Almond and Cream, and the Savannah Socialite made with Milk and dark chocolate ice creams bursting with roasted Georgia pecans and swirled with bourbon-infused caramel (How wicked good does that sound?). It is also a popular stop among the celebrities, so you never know who you might run into such as Jennifer Lopez, Tom Cruise, or Anthony Hopkins. 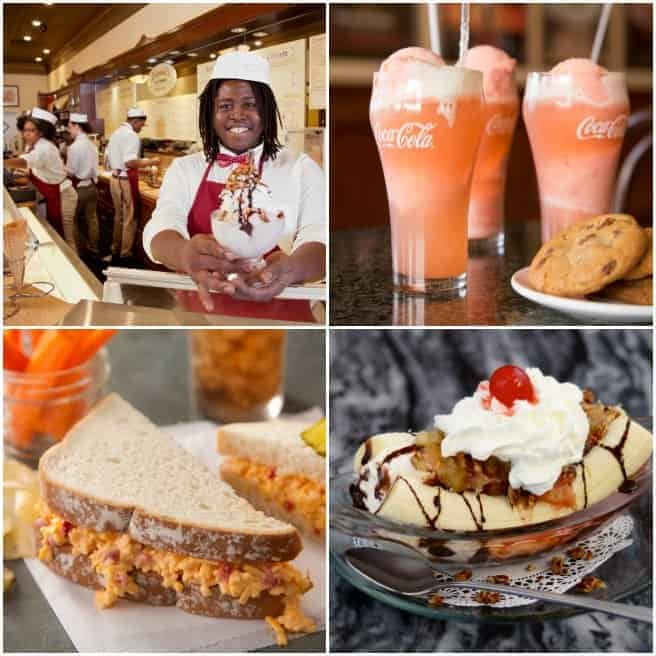 Their Soda Fountain Menu features traditional favorites such as banana splits, sundaes, homemade ice-cream sandwiches, and Old-Fashioned Hand Crafted Fountain Sodas (I do love a good Cherry Smash!) Their sandwiches and salads are made fresh. Try the Shrimp Salad, Pimento Cheese Sandwich, or the Cream Cheese and Olives Sandwich… you can’t go wrong. One of the best Savannah Restaurants is a little jewel called Cotton & Rye. Once home to a bank, its building maintains some of its original industrial look and adds in a stylish, modern, open airy feel. Almost everything is made from scratch with high quality ingredients such as their breads, dressings, sausages, pickles, and bacon. The menu is Southern inspired and changes periodically. On it you will find things like shrimp and grits, Carolina trout, award winning crispy chicken wings (a definite must) and juicy cheeseburgers. If you like whiskey, then you are in for a special treat. They have a great selection of whiskeys and an incredible craft cocktail menu. Save room for dessert because their house-made desserts are fantastic also! Bella Napoli Italian Bistro is hidden on a side alley in the Historic Savannah District. 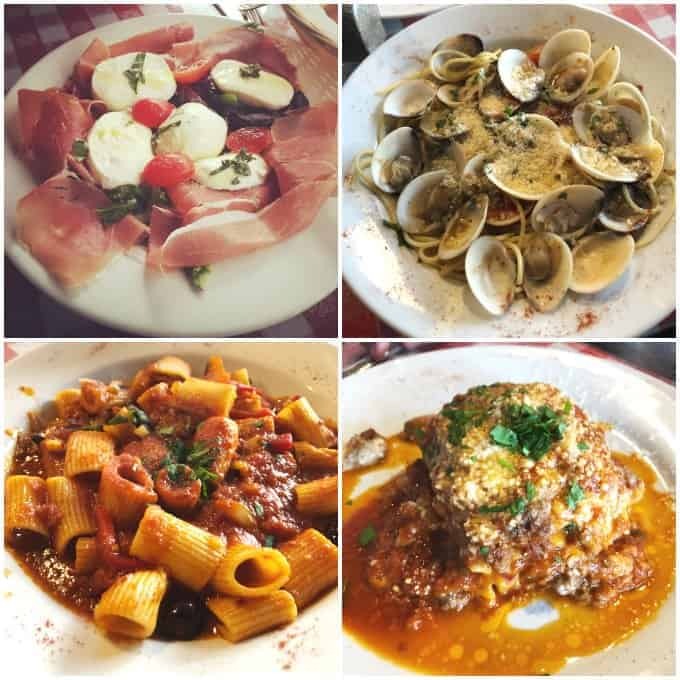 If you love authentic Italian food, this place is a must-go on your bucket list. It is a small restaurant with seating for less than 20 tables all covered in a cute red and white checker table cloth. Pizza dough, sauces, and some of the pastas are all house made. Pizza is fantastic, Spaghetti and Meatballs are phenomenal, and the Spaghetti Alle Vongole is a personal favorite. With my little dog by my side, I like to come for lunch and eat at their outdoor seating. With a glass of red wine in my hand, and a lovely pasta dish plated in front of me, I could almost forget I am visiting Savannah and instead imagine dining in Italy. If you are strolling along Savannah’s river walk in search of a great spot to eat, try the locally owned River House Seafood. The seafood is fresh and tasty. We enjoyed the Prince Edward Mussels and the Spicy Garlic Shrimp. They were perfect. You definitely don’t want to miss out on their Lobster and Lump Crab Bisque. It was fantastic!! The River House Seafood is famous for their Shrimp and Grits, Grouper Florentine, Paella, and Chatham Artillery Punch. The inside atmosphere is beautiful, but if the weather is nice; I recommend dining in the outdoor seating and enjoying the views of the river. Sometimes you just need a good slice of pizza and Vinnie Van Go Go is the perfect place to grab a slice in Savannah. There usually is a line out the door and seating can be hard to get. However the wait is worth it. Or you can always order your pizza to go and eat it on a park bench in one of the beautiful historical gardens. Dough is made daily, cheese is freshly grated, the crust is thin, and slices are BIG. They have an array of toppings and the price is relatively cheap. They also serve beer, salad, and calzones. Bring cash because that is all they will take! Did you know you can walk around with open drinks containing alcohol in the Historic District of Savannah? Although the menu looks great, I have never actually had the opportunity to eat at Dub’s Pub River Street. I intend to eat there on my next visit and will update you on my experience. HOWEVER, I can not write this post without mentioning them, because I have had the pleasure of drinking their Bloody Marys! I consider myself a Bloody Mary connoisseur and I have to say, theirs rank on my top 10. What makes their Bloody Marys so fantastic is their infused vodka. I do this myself in my Bloody Mary Vodka Infusion recipe, so any time I see a restaurant infusing vodka, I know it is going to be good! Dub’s Pub River Street Bloody Marys are loaded with a liberal serving of that tasty infused vegetable vodka then mixed with Zing Zang Bloody Mary mix. They add a few extra spices then top them with a pickled okra, pepperoncini, olive, and cheese stick. The result is PERFECTION! I visit Dub’s every time I am Savannah. My husband and I order a little “roadie” and walk around sight seeing the outdoor views as we drink our cocktail. It is such a fun tradition! For more restaurant recommendations, check out: Best Restaurants Near Boone, NC, Paulie’s Pig Out, and The Fearrington House Restaurant. Savannah is such a wonderful town for foodies. These restaurants sound wonderful.